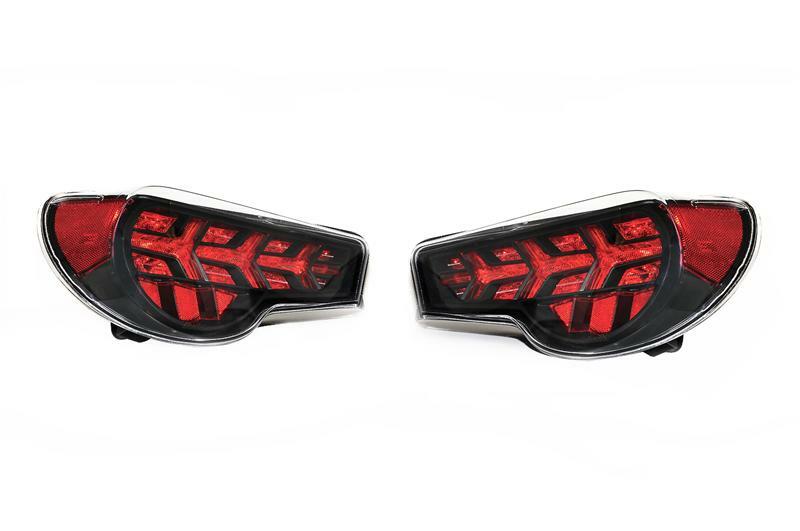 Buddy Club USA is happy to announce our latest addition to our ever growing lineup of aftermarket parts for the Toyota FT86, Scion FRS, and Subaru BRZ, we are pleased to present to you the Buddy Club FT86 LED Tail Lamp. These full LED tail lights bundle the latest style and technology all in one affordable and attractive package. U.S. DOT compliant, the Buddy Club LED Tail Lights feature a sequential blinker pattern that cascades from inside to out when using your turn indicator or hazard signals. With an effortless flick of a switch located on the backside of the tail light, the sequential feature can be turned off for a solid illuminated indicator. The U.S. version will feature a clear lens with all red LED design where as Asian and European markets will feature a clear lens with red running lights and amber blinkers. Buddy Club enlisted the help of a top lighting manufacturer to develop these unique full replacement tail lamps. Buddy Club tail lamps are built to the strictest requirements ensuring a high quality lamp that meets OE standards. Buddy Club wanted to improve the appearance as well as the lighting output when designing these lamps. These are very bright and highly visible. Buddy Club tail lamps are SAE & DOT approved.